BANJUL, Gambia, November 21, 2013/African Press Organization (APO)/ -- The Vice President of The Gambia, Dr. Isatou Njie-Saidy, has said that availability and access to modern energy services is not only vital to reducing poverty in West Africa but also critical in maintaining peace and security. The President - represented by his Special Representative to Cote d'Ivoire, Ambassador Jonathan Oluwole Coker - noted ERERA's contribution in the implementation of the roadmap leading to the regional electricity market, the hallmark being the adoption of the Directive on the organization of the regional electricity market by the ECOWAS Council of Ministers in June 2013. 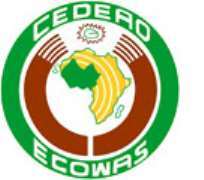 He called on ECOWAS' partners to continue assisting ERERA in the discharge of its mandate and support it in the implementation of its strategic objectives. According to her, it would make ERERA's role even more critical in ensuring that regional trade in energy and electricity services is facilitated and encouraged. It would also require the development of trans-border infrastructure; that is, transmission networks inter-connecting countries in the region and the creation of grid codes, she added. Participants at the 4th ERERA Forum being hosted by The Gambia are to examine the place, roles and responsibilities of ERERA and the national regulators in speeding up the establishment of a regional electricity market in West Africa through the theme, 'Fast-tracking the regional electricity market: the regulatory issues'.